Having a shower is the way that most of us begin our mornings, as it is the fastest way to get clean when you’re on the go. But for many people, unwinding after a long day with a book, and a warm bath offers more of an experience, especially during those long winter months. 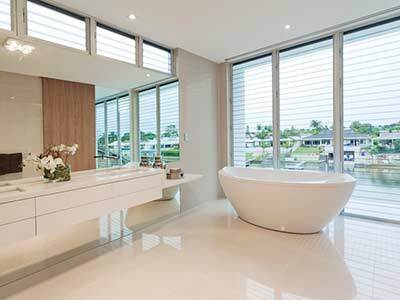 Bathtub manufacturers understand this appeal and have produced a variety of styles and features to match the design of your bathroom, and are made to suit any budget. See our Vancouver shower repair and installation services. What Bathtub Basics Do I Need ﻿﻿To﻿﻿ Know? Do you have physical constraints that a new tub must fit within? For example, when replacing an existing tub during a remodel the new tub must be placed were the old tub and plumbing is situated. The only time you are able to choose between any varieties of tub you want is when building a new home, a bathroom addition, or a remodel were gutting, moving existing walls and plumbing are in the plans. Be clear on what you want from your tub. Are you looking for a simple everyday “working” bathtub that will accommodate washing the toddlers, the dog and the blinds? Or do you want your own in-home hydrotherapy spa? You can’t replace tubs easily so understanding how you’ll use it in the long term will help define how your bathroom needs to be or changed, as well as how much money you’ll end up spending. DJ Plumbing & Heating services Vancouver, Burnaby, Coquitlam, Port Coquitlam, Port Moody, Pitt Meadows, Maple Ridge, New Westminster, North Vancouver, West Vancouver and other Metro Vancouver cities. 3-wall alcove: tub-shower combinations are one that most of us are probably familiar with and are the most common tub type. They are designed to maximize space. The unfinished ends usually get sandwiched between exterior walls, and wall-mounted shower is a typical accompaniment. Drop-in: tubs are the tub shell only. They’re fitted inside a framed enclosure that’s finished to match bathroom cabinets or tile. An enclosure is a separate item, so budget accordingly. Under mounts: are drop-ins destined for floor-level installation. Flooring, such as tile, covers the lip of the tub. Corner Tubs: are variations on the alcove and drop-in designs. But have a different shape to accommodate its corner placement in a bathroom. Soaking Tubs: Soaking tubs are typically deeper than standard general-purpose bathtubs and allow you to immerse your whole body into the water. They come in various styles and shapes and vary with the amount of water they hold. Vintage style claw-foot and freestanding tubs fall into this category. Walk-In Bathtub: A walk-in tub provides a door that allows you to walk into the tub instead of having to climb over the edge. They’re helpful for elderly people and any person that has limited mobility. Whirlpool: Whirlpool tubs offer a therapeutic bath by shooting water and air bubbles into the bathtub at strategic locations to give you the sensation of a massage. These kinds of tubs are more complex than other tubs because they include pumps, filters, hoses and other equipment necessary to circulate the water. Fiberglass: This is a lightweight, moldable material. A fiberglass tub is the least expensive type you can buy. Unfortunately, it’s prone to scratching and doesn’t wear well, lasting about a dozen years. Fiberglass tubs coated with an acrylic finish will hold up longer. Enamel-Coated Cast Iron: This classic material will endure as long as your house stands. Because of its heavy weight, especially when filled with water, it is not recommended for large soaking tubs. At DJP, our installation team understands that not all tubs are interchangeable. 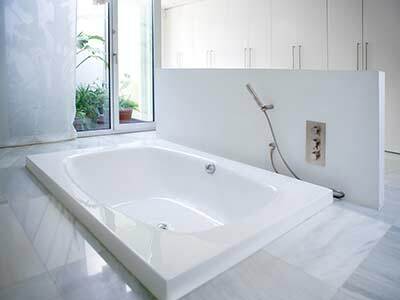 Our team of Coquitlam plumbers is skilled in the process of installing and connecting all the plumbing needed for any model of tub no matter how big or small the project. 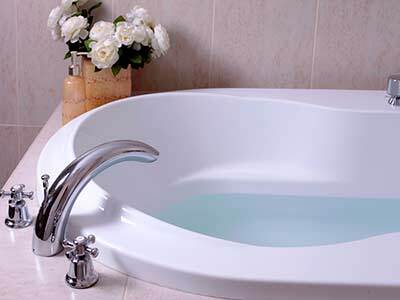 Give us a call 778.227.1119 or send us a note at info@djplumbing.ca and we will be happy to answer any questions you have about the types of tubs available and which models can work best in your bathroom.